Australian cherries took centre stage at a promotional event in South Korea last week. 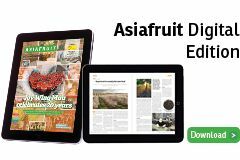 Hosted by the Australian Trade Commission (Austrade) in Seoul, the event saw around 30 journalists, bloggers and members of the fruit industry gather at Bill’s restaurant in the Songpa District. According to the Korea Times, guests were treated to an array of dishes that incorporated Australian cherries, including ricotta hotcakes and cherry pavlova. 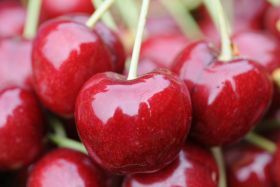 “Following the signing of the Korea-Australia Free Trade Agreement, the 24 per cent tariff on cherries has been eliminated, resulting in an almost 750 per cent increase in cherry imports from Australia,” Australian Ambassador to Korea William Paterson told guests, according to the Korea Times. Data cited by the Korea Times suggests Australian cherry exports rose from 24 tonnes in 2014 to 232 tonnes in 2015, the majority of which were supplied by the island state of Tasmania.